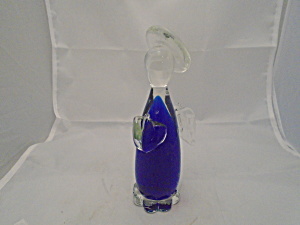 Art Glass Hand Blown Glass Cobalt Angel 7 3/8 in. Mint. A nice cobalt angel. She has her hands folded in front, the wings in the back and a halo on her head.